The East Tennessee Veterans Memorial enshrines the names of East Tennesseans who died in the line of duty while in military service to their country from World War One to the present, whether involved in direct combat, military operations or training, or as the result of domestic or international acts of terror: World War One, World War Two, Korean War, Vietnam War, Persian Gulf War, War in Afghanistan, Iraq War, and Other Military Operations. A breakdown by county and conflict is also available. As of May 2017, 6253 names are engraved on the memorial. 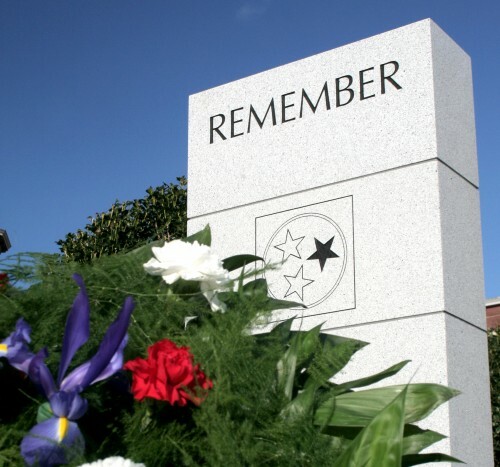 We seek to be as inclusive as possible, and in order to be listed on the memorial there is normally a direct connection to the region by birth, enlistment, marriage, or burial. Families can petition the ETVMA board to consider inclusion of their loved one if such ties are not evident.